This lot contains a Stealth Cam 35mm Motion Detector in its original packaging. This Stealth Cam Scouting Camera has a wide angle lens that captures the area around the subject clearly. 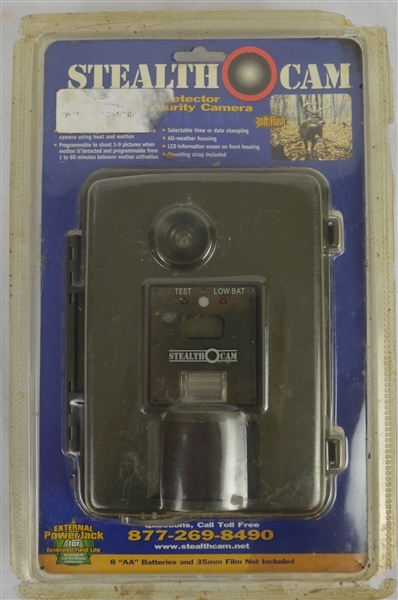 This Stealth Cam game camera has the capability to give bright and clear pictures up to 30 feet. This Stealth Cam Scouting Camera can shoot 1-9 pictures as soon it detects any motion. Furthermore, this Stealth Cam game camera is programmable from 1 to 60 minutes between motion activation. 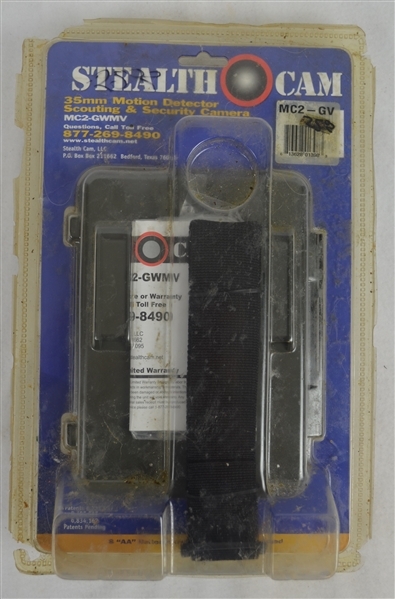 Thanks to the all-weather housing, the Stealth Cam MC2-GV survives in all the climatic conditions.